Peristiwa Berdarah di Sg. Manik. ONE evening in 1958, 10-year-old Hakim Hashim Mohamed went fishing in Sungai Manik and unwittingly fished out a human skull with his bare hands. Petrified by the macabre find, he dropped it back into the water and ran off to tell his family, who lived in Parit 2B at the time. "I was expecting to hold a fish and was horrified when I realised it was a skull instead. "My family and I never found out who the head belonged to, although we often speculated if it was that of a drowned or missing person, or perhaps a beheaded communist during the Japanese occupation," said the now 65-year-old "Tok Sidang" or village head of Kampung Kuala Sungai Manik, some 8km from the nearest town in Teluk Intan. Hakim, who is Banjarese by lineage, knew only too well that his last guess was not a far-fetched possibility. "My grand-uncle, Saino Arif, who was also my guardian, used to tell me stories about how some villagers had punished communist informants with a slit to the throat and the bodies unceremoniously shoved into the river. "This was in the 1940s, during and after the Japanese invaded our country." Hakim said although the fateful event took place a few years before he was born, the tales of the heroism of the villagers, who defended their families on the home front, continued to be told long after it was over. Among the most prominent episodes was the Sungai Manik War, which, according to Hakim, occurred in 1945. The war happened between the villagers and Communist Party of Malaya (CPM) members. Saino was related to Tok Imam Haji Bakri, the central figure in the Sungai Manik War. The latter was also a religious leader. Bakri's advice served as guiding points for the villagers during the battle. They believed it was Bakri's potent prayers that protected them from harm and gave them the edge over the communists. The men wore a red sash, which had been blessed, across the chest, in line with the Banjar warrior tradition. They were not afraid to engage in combat with the enemy and the latter's more sophisticated firearms, although the former only had machetes and long knives as weapons. "It is said that when the communists attacked, they saw their opponents as tall, giant men and so, started shooting upwards instead of directly at their target. "Some behaved as if they were wading in the river, when in reality, it was not so. This gave the village warriors an advantage to get close and stab or slash their enemies. "The supernatural illusions were powers performed by Bakri through his deep faith in Allah." Three groups of communist reinforcements, which were travelling by tongkang (light wooden boat) capsized before reaching the Sungai Manik battleground. This incident is also credited to Bakri's mystical capabilities. "In the 1960s, the black edge of the capsized tongkang could still be seen jutting out from the river near Kampung Tunku, but now, the water level has risen and covered the relic." Hakim's neighbour, Mohd Salleh Harun, 64, said the Sungai Manik War was sometimes referred to as a racial feud. This was because the Chinese residents in nearby Chui Chak, Langkap, were mobilised by CPM to fight against the villagers, who comprised mostly Malays and Banjarese. "Back then, these communities kept to themselves and hardly mixed. A majority of the Chinese gave their support to CPM so that their families would not be harassed, while the Malays did not want to tolerate the communists. "In the fight, the Chinese were misled into think that the Malays intended to wage war against them." Salleh said after the Sungai Manik War, the Chinese settlements moved nearer to Teluk Intan town. However, the former Royal Malay Regiment corporal said that times had changed and people were no longer fuelled by vengeance or hatred based on race. "Today, the Chinese and Malay people here are good friends despite the violent history. "I, myself, have learnt to converse in Cantonese from my frequent business dealings with the Chinese community." Salleh said Sungai Manik's gruesome past no longer deterred the Chinese or other communities from setting foot in the village. "My hometown also has an almost 360-degree view of beautiful green padi fields," added the retired fishmonger. SEMALAM muka abah KZ masuk lagi dalam paper. KZ pun dah lupa entah berapa kali muka abah terpampang di dada akhbar. Tapi selalunya paper bahasa Melayu kali ni paper NST pulak. Abah KZ merupakan antara penduduk senior di kampung yg masih hidup, jadi dia macam arkib sejarah bergerak. Nak tahu sejarah Sg. Manik yg terkenal dgn tag linenya 'timpas' yg bermaksud tetak, tanyalah dia. Abah juga banyak menyimpan barang2 antik yg ada kaitan dgn kampung kami. Kaum banjar di Sg. Manik memang terkenal dengan keberanian mereka berperang. KZ tengok beberapa bilah pedang yg terpamer di show case kaca abah di kampung pun rasa gerun. Pedang2 tu semuanya dikatakan pernah makan darah! Abah KZ juga merupakan ketua kampung. Dah agak lama jugak dia pegang jawatan tu. Mak ada jugak sound dia, bagi kat orang lain pulak. 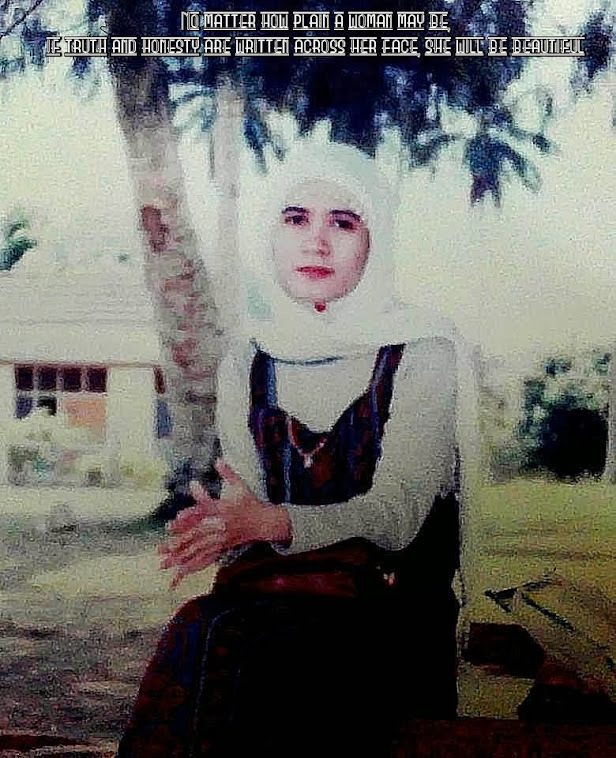 Kata abah dia tak keberatan sebenarnya nak tinggalkan jawatan tu dan pass kat orang lain, masalahnya orang kampung yg minta dia terus bergelar ketua kampung dan dia tak sampai hati nak menolaknya. Pada KZ, abah memang ada karisma sebagai pemimpin...dia disegani kawan dan lawan. Kalau nak cerita pasal abah KZ, memang boleh buat satu buku biografi! Bila mengenang saat dia dicaci dan dihina satu masa dulu...boleh menitik airmata KZ. KZ berharap satu hari nanti KZ boleh menulis tentang perjalanan hidup dia, untuk itu KZ kena la menemuramah empunya diri...InsyaAllah, satu hari nanti.